Dan has been playing golf pretty much his entire life or as much as a Minnesota kid could. He was an All-American golfer playing at Gustavus Adolphus College in Minnesota. Dan brings experience from a number of areas to his golf instruction. He spent 10 years as a golf professional in Minnesota at Hazeltine National Golf Club. During his time there he worked quite a bit with juniors of all levels and was one of the key instructors in their nationally recognized junior golf program. He also taught men and women of all ages and ability levels. Another niche that Dan dove into was golf club fitting. He was the main club fitter at Hazeltine and recognized as one of the top fitters in the state by his peers. 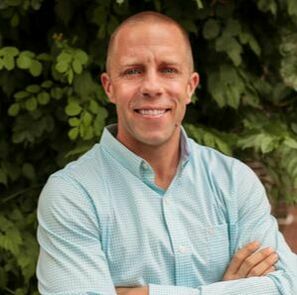 Dan is also a certified nutritional coach and has solid knowledge base in the fitness realm. He believes strongly that approaching golf with an athletic mindset will lead to greater results and less chance of injury. Dan has been happily married to his wife Laura for the past 10 years. They have one son, Elijah who is almost 5 and just starting to show an interest in golf! He and his family have been living in the Austin area for a little over a year.